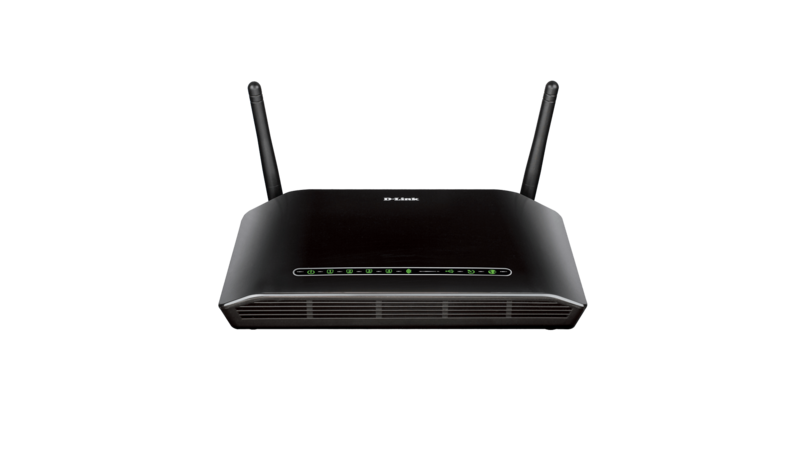 D-Link’s DSL-2750B Wireless N ADSL2+ Modem Router (Annex A) is the ideal Internet gateway for users that get their Internet connection through the phone line. This router connects directly to your telephone line without the need of an ADSL modem, and provides the fastest download streams. With Wireless N speeds of up to 300 Mbps and SharePort™ Technology, this router is suitable for users that want the most out of their home network. Create a high-speed wireless network for your home using this ADSL2+ Router. Connect the device to a broadband modem and wirelessly share your high-speed Internet connection at speeds of up to 300 Mbps. Enjoy surfing the web, checking email, and chatting with family and friends online. The router uses Wireless N technology, which offers increased speed and range over earlier standards. It uses Intelligent Antenna technology to transmit multiple streams of data by bouncing multiple wireless signals off of walls enabling you to receive wireless signals in the farthest corners of your home. The Wireless N ADSL2+ Modem Router also includes four Fast Ethernet ports that give you the flexibility to connect wired devices like Network Attached Storage (NAS) Enclosures to the network. Connect a USB storage device to the Wireless N ADSL2+ Modem Router to create a shared storage space, making it easy to share music, movies and documents between computers and devices connected to your network. Plug in a USB hard drive and access your library of videos and music on your laptop. You can even customise your shared storage space by creating separate accounts to control access to the USB drive, so you can share your music with everyone but keep your personal files private. With some routers, all wired and wireless traffic, including Internet call such as Skype™, video streaming, online gaming, and web browsing are mixed together into a single data stream. By handling data this way, applications such as streaming video may stutter or have an unstable connection. With the D-Link Smart Quality of Service technology, wired and wireless traffic is analysed and separated into multiple data streams. Different applications like voice, video, and data will be automatically detected and prioritised so that you can stream without buffering and game without lag. This router is part of D-Link GreenTM, D-Link’s programme for providing eco-friendly alternatives without compromising performance. This Modem Router supports WLAN Scheduler, which switches off the wireless network when not needed, for example at nights or during working hours. Also the power consumption is further reduced with its Energy StarTM power supply. This product was phased out on: 9.10.2018.